PowerPoint is a powerful presentation software designed for business, classrooms, trainings and personal use. Anyone can create stunning presentations that look like they were created by a professional. Often the slides of a PowerPoint document need to be translated into another language to allow you to reach a wider audience. 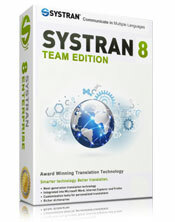 With Systran you can open your presentation and translate the complete document with just one click. All the slides are instantly converted into the specified language while the formatting is retained. 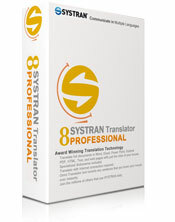 Dazzle your audience with multilingual presentations in over 52 language pairs! 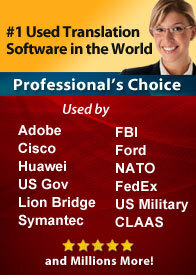 You can edit and proof the results with additional tools and dictionaries to insure the accuracy. In a hurry? Locate your Powerpoint file and convert it into another language without even opening the document. Quick File Translator gives you the ability to right click and translate the complete PPT file into the language you require. This take only a few seconds! Need more? 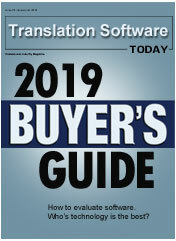 Use one of our more advanced versions to batch translate up to 100 PPT files at a time. Create a shortcut key that allows instant translation of any highlighted text. Excellent for single text boxes that might be on another layer. Use Microsoft's Viewing Tools to align both of your presentations side-by-side for easier proofing and editing. If you have the Professional version you can get perfect alignment with the SYSTRAN Project Manager. 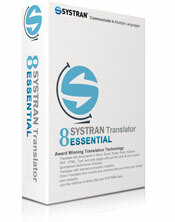 Join the millions who are using SYSTRAN and are already saving thousands of dollars in translation costs!